This is the very first Knotgarden – Mandala I ever made! It hatched 2001…. The begin of it all … It is – compared to today’s more complex Mandalas – a rather easy one, mostly DMC and with a size of 268 x 268 stitches not too big either. But it has all the charme of a Parterre Garden and you can recreate it with needle and thread. 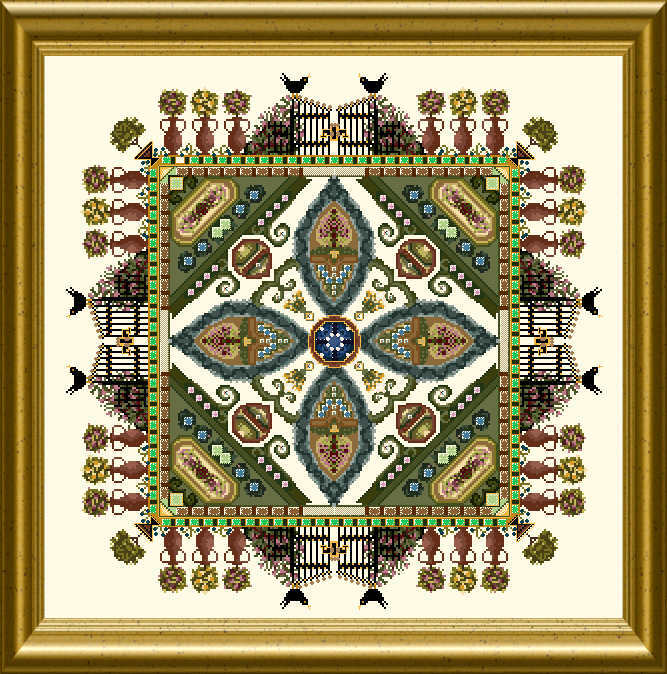 Mostly cross stitch with some Special Stitches, beads etc. I would say it is a perfect piece for a beginner or somebody who wants an easy but effective embroidery.